How do you clean your face? Not cleansing properly. How many times have you wiped your face with toner after washing with a cleanser only to see the cotton pad with dirt and foundation on it? It’s because using a simple facial wash isn’t enough. For best results, try the double cleansing method. Begin by using an oil or oil-based cleanser, like Human Nature’s Sunflower Cleansing Oil to dissolve makeup, particularly the waterproof variety. After you wipe off the oil, go ahead and use your everyday facial cleanser. Skipping the nourishing products. Your skin regenerates as you sleep, so it’s best to aid it by using the proper products. Switch your sunscreen with retinol, and your day eye cream with a thicker night eye cream. Here’s how you should layer skincare products at night. Using your gadgets before you sleep. We get it, stalking celebs on Instagram calms you down and helps you sleep, but do have any idea how dirty your gadgets are? Here’s everything you need to know about how your gadgets are ruining your skin. You binge-watch your favorite TV show. Game Of Thrones is addicting, but girl, if you want better skin, you should clock in at least eight hours of sleep every night. So if you say you’ll only watch one episode, watch one freaking episode only! Taking really hot showers. We’re all probably guilty of this, because let’s face it, there’s nothing as relaxing as a nice, long, hot shower after a day’s work. The problem is, hot water really dehydrates your skin. The quickest fix? Cut down your shower time short. You also want to use a moisturizing body wash and to lock in more moisture, back it up with a gentle body lotion. 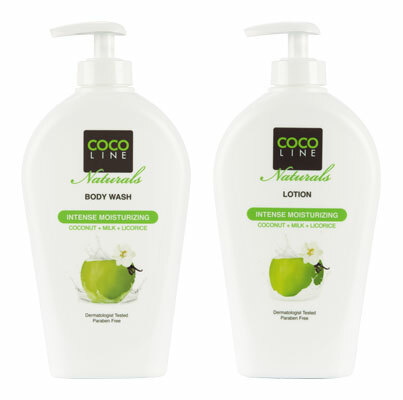 You can try Cocoline Naturals Intense Moisturizing Body Wash and Lotion—the products are lightweight and paraben-free.